"Family Ties" was only a minor show ratings-wise in its first two seasons, but exploded in 1984 when it had the good fortune of airing right after "The Cosby Show" which was an instant hit for NBC and became one of the biggest shows of the decade, making NBC's entire Thursday night lineup an institution for many years. This was when I first began watching "Family Ties", although I had stopped watching it by its final 1988-89 season. In 1987, it was displaced by "Cosby Show" spinoff "A Different World" and moved to Sundays for the rest of its run. While I don't remember watching it as religiously by then most of the episodes here were familiar to me. What always made "Family Ties" stand out to me from other sitcoms of its era (there were many others I watched back then) was that it often had some very surreal situations while keeping everything else grounded in reality. Many of the ones in this season center around young Andy being influenced by his brother Alex, such as being read a finance textbook for a "bedtime story" (with Mallory later reading him something "more normal," a Bloomingdale's catalog), and an "I Love Republicans" Pop-Up book with a cutout Ronald and Nancy Reagan in front of the White House. Andy and Alex also have a routine going (though only shown in one episode) where they watch "Wall Street Week" together while eating popcorn, with Andy wearing a baseball cap with a dollar sign on it. In an episode where Alex meets Lauren's ex-boyfriend, as they discuss their professional accomplishments they suddenly both pull out their resumes from under their shirts. Later, Alex is in the kitchen talking to his parents, saying he's made a partial list of his "good points" and unrolls the list until it runs the length of the counter. These all work because everything is done with a straight face, all matter-of-factly (even though the audience is heard laughing at it). The best such moment in this season however is when the family is unable to find a decent Christmas tree and instead settles for a cactus with ornaments on it- again, it's completely ridiculous but everyone keeps a straight face. Not every episode is a winner however- most glaring is an hour-long "clip show" (made up primarily of flashbacks to previous episodes) centered around Lauren interviewing the Keatons for one of her psychology projects. 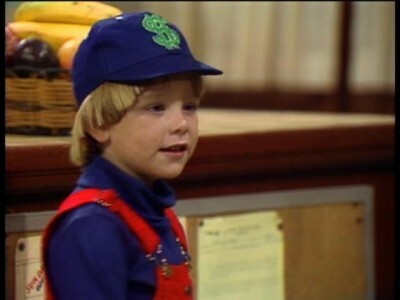 "Mister Sister" has Nick taking a job as a janitor at Mallory's sorority house, with him trying to become an actual sorority sister complete with gender confusion. In "The Play's the Thing", Steven puts on a production of a play titled "A Draft Card for the Burning" dramatizing the time he met his wife, with Elyse playing herself but someone else playing Steven which makes the real Steven jealous. I remember watching this one as it first aired reminding myself why I was no longer watching the show regularly- it just falls flat. Watching all of these episodes in a short amount of time, I noticed a few loose ends and abandoned concepts, something which has also annoyed me when watching other TV shows on disc. In "The Blues, Brother" we find out that Alex has a show on his college's radio station (in the episode he convinces a long-retired blues musician to put on another show) but the station doesn't come up in any further episodes, nor does Alex again show that apparently he's a big fan of blues music. In "A Sign of the Times," Andy befriends a deaf student in his kindergarten class, in fact he refers to him as his "best friend," but we never see him in the show after that. I suppose the writers assumed we'd forget about things like this when we only saw the show one time per week. Notable appearances from other actors in this season include Campbell Scott as Lauren's ex-boyfriend who visits in one episode, Robert Klein as an old high school friend of Elyse who may still be in love with her, and Dan Hedaya as Nick's estranged dad. Two episodes also include a very young Joseph Gordon-Levitt as one of Andy's kindergarten classmates. Bunny Summers, whom you may remember from Re-Animator's opening scene, also appears in one episode as a buyer of one of Nick's mass-produced art pieces. While I didn't notice any obvious edits or music changes within any episodes, there is a note on the back cover stating: "Some episodes may be edited from their original network versions. Music has been changed for this home entertainment version." It may just be standard practice for Paramount to include this note nowadays, but it's worth pointing out for the obsessive folks whatever the case. 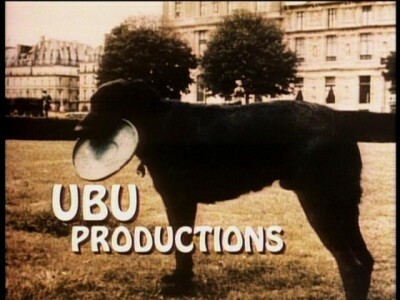 The only alteration that did stand out was the replacement of the closing "Paramount Television" logo at the end with a newer "CBS Television Distribution" tag, with music noticeably louder than the rest of the show. Paramount has done a great job with the presentation here. 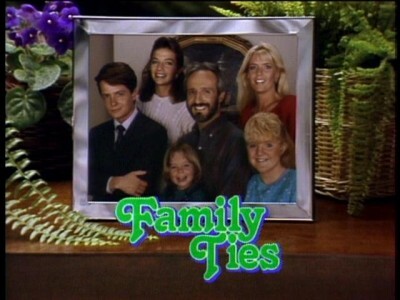 "Family Ties" was shot on video in the pre-HD era, and looks as good on DVD as it did when it originally aired. I've been dismayed at how other TV show DVDs were overcompressed, resulting in digital compression artifacts, but I saw none of that on this set! Even the lettering during the opening credits is free of the "mosquito" effect that has plagued many other TV show releases I've watched recently. Of course this isn't going to look perfect compared to newer HD material- there's the obvious lower resolution along with some dot crawl, but that was just a fact of life with standard-def video. Audio is in Dolby Digital 2-channel stereo. Starting in 1985, almost all of NBC's shows were produced in stereo and I was lucky enough to be equipped to hear it from the start although I remember not many shows used stereo to its full advantage. I do remember being quite excited watching "Family Ties'" 1985 premiere and hearing the opening theme "Without Us" re-recorded in true stereo, with Johnny Mathis' vocals in the left channel and Deniece Williams' in the right. That continued through the rest of the series' run, although strangely the amount of separation varied per episode as it does on the episodes here. As for the rest of the show, most of the audio is kept in the center as I remembered it the first time around (although I didn't have a Pro-Logic setup back then). On my current sound system, the laughter and applause from the studio audience has decent separation although not quite enough to really stand out, and in the scenes set in the shopping mall in the "Miracle in Columbus" episode, there is some separation in the ambient background sound effects. While Paramount has usually used TV-decoded closed-captions on its TV show releases (which are becoming increasingly more difficult to access on current equipment), here they have been dropped in favor of player-generated subtitles in "SDH" style, where music and sound effects are described the same way as in standard closed-captions. No extras are included on this release. The four discs (with Paramount's usual plain grey labeling) are packaged in a clear single-sized keepcase, with episodes listed on the reverse side of the cover sheet, with synopses and original air dates.